All three of NASCAR’s national series — Monster Energy NASCAR Cup, Xfinity and Camping World Truck — head to Bristol (Tenn.) Motor Speeday for nighttime, short-track racing. The Truck Series kicks off the weekend a day early, on Thursday, with its running of the UNOH 200. 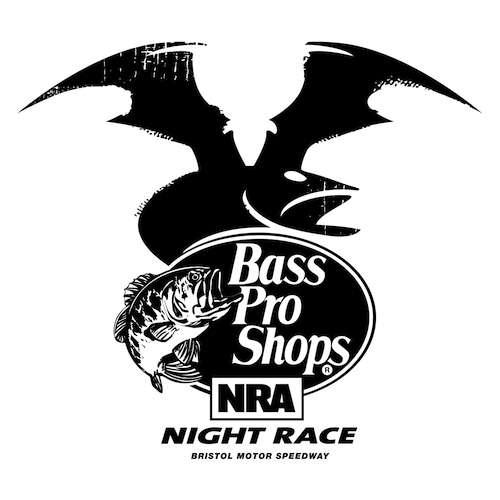 The Xfinity Series is slated to run the Food City 300 on Friday night, with the race weekend culminating with the running of the Bass Pro Shops NRA Night Race on Saturday. The Truck Series will make one of its rare appearances on a major network Thursday night, as the broadcast will be in FOX instead of its usual FOX Sports 1 home. The other two races will air live on the NBC Sports Network. The UNOH 200 is the final race of the Truck Series regular season. Kyle Busch is the defending winner of the race, but he isn’t on the entry list for his year’s Truck Series race at Bristol and neither are any other Cup Series regulars, because NASCAR rules prohibit Cup regulars from racing in the Truck Series regular-season finale. The only former Truck Series winner at Bristol on the entry list for Thursday night’s race is Timothy Peters, the 2012 winner. The 200-lap Truck Series race at Bristol is slated for two stages of 55 laps, followed by a 90-lap third and final stage. There are several Cup Series regulars entered in Friday night’s Xfinity Series race, though, including Kyle Busch, Kyle Larson, Chase Elliott, Ty Dillon and Joey Logano. Busch is the defending winner of the August Xfinity Series race at Bristol, but Ryan Preece won the most recent series race at the track. Preece is not entered in Friday’s race. The Xfinity race, scheduled for a 300-lap distance, will consist of two 85-lap stages and a 130-lap third stage. Saturday’s Cup Series race is the first of three remaining races in the series’ regular season, preceding races at Darlington (S.C.) Raceway and Indianapolis Motor Speedway. Busch is the winner of the two most recent Cup races at BMS, including last year’s edition of this weekend’s race. The 500-lap race will be divided into stages of 125, 125 and 250 laps. The Bristol Motor Speedway race weekend may be plagued by rain, sometimes thunderstorms, throughout. The weekend forecast includes several periods of more than 50 percent chances. The lowest chance of rain is a 25 percent chance Thursday night. There is a 51 percent chance of a thunderstorm during the daytime hours Thursday and a 62 percent chance of a storm during the day Friday night. The chance of rain increases to 60 percent chance Friday night and to 62 percent during daytime hours Saturday. The rain chance for Saturday night is 55 percent. Meanwhile, daytime high temperatures are expected to be in the mid to high-80s Thursday and Friday, with lows in the mid to high-60s. Saturday is expected to be cooler, as a daytime high of 77 degrees is expected. A Saturday-night low temperature around 66 is in the forecast.